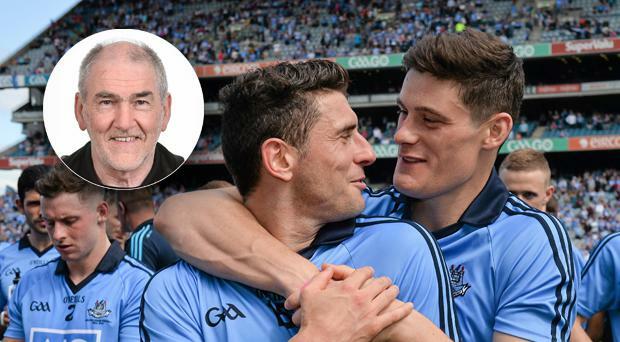 Tyrone manager Mickey Harte believes the loss of some big names and a drop in hunger levels could make Jim Gavin's Dublin vulnerable this year. Speaking at the launch of the Ulster Championship last night, Harte referenced the loss of Bernard Brogan to a cruciate ligament and the increasing likelihood that Diarmuid Connolly will not return for the Dubs in 2018 as causes for optimism for the chasing pack. With Gavin's men chasing a fourth successive All-Ireland win, the long-serving Tyrone boss feels that the champions may struggle to hit the heights they have reached with regularity in recent years. “No team lasts forever,” said Harte. “Now, some teams do take a lot longer to get rid of than you would like if you are from a different county. “But Dublin are in pole position. They deserve to be where they are. They are a serious outfit. But there has to come a time when they can be beaten. I hope that we are one of the ones that are around when that happens. “I think that is the case. I think whenever you keep winning and the people have the medals, it is hard to see them all having the hunger to want more and sometimes you can’t replace the old hands. New ones, no matter how talented they may be, they don’t have the experience, the guile of the boys they are replacing,” Harte said. Dublin easily accounted for Tyrone in last year's All-Ireland semi-final on a scoreline of 2-17 to 0-11. The Red Hand men begin the defence of their Ulster Championship title against Monaghan on May 20 in Omagh.